The Amityville Horror haunting is still a very popular subject both inside and outside the circle of paranormal researchers and enthusiasts. It is the story of the Lutz family, who went through a nightmarish twenty-eight days inside the house at 108 Ocean Ave in 1975 has become known world wide. The house had previously been the residence of the DeFeo family about a year or so before the Lutz’s moved in, that is until twenty-three year old Ronald DeFeo murdered both his parents in their beds as well as his four siblings: Dawn (eighteen years old), Marc (twelve) and John Matthew (Nine). Since the Lutz’s fled the ‘Horror House’, the story of what occurred to the family in less then a month’s time in Long Island has been turned into a book, made into a movie and spawned the name of a famous fictional horror movie franchise. 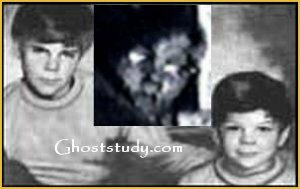 As we have noted on this blog before, the case also has many side trips and legends, some of which you have to read to believe.One of the most popular has to be the Amity ‘Ghost Boy’ photo, which has sparked debate in the Amityville and paranormal worlds for some time now. It is also one creepy photo. The picture. 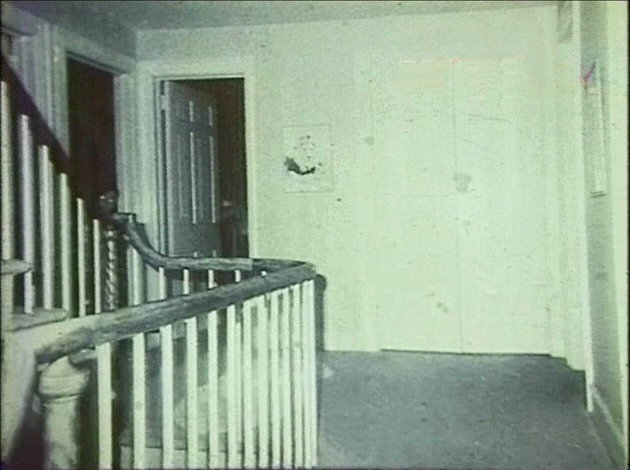 which appears to be of a small boy with glasses or a man kneeling on the floor with glowing eyes, has been called everything from one of the dead DeFeo children to a demon, first turned up in the collection of photos George Lutz had from an investigation into the haunting in 1976, led by infamous Demonologists Ed and Lorraine Warren. “The first time that picture was shown was on the Merv Griffin show back in 1979. It was discovered 3 years after it was taken. Gene Campbell, who was a professional photographer, was brought into the house in 1976 when the Warrens went in with their team. He set up an automatic camera on the 2nd floor landing that shot off infrared film, black and white, throughout the night. There are literally rolls of film with nothing on them. There’s only one picture of the little boy. In 1979, I was putting together a book that has yet to be published that included the photographs. The secretary I had at the time was about eight months pregnant. We had dozens of these pictures to choose from that didn’t have the boy, and she asked me: “Which one should we put in the book?” I told her to just pick one. She came running back into my office about 5 minutes later saying that every time she picked up the photograph with the boy, the baby kicked her. 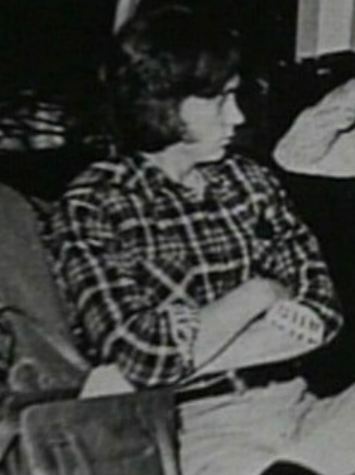 Despite the tale of the unsettling discovery of the photo and the photo itself, some people on the Amityville Truth Board believe it could simply be the picture of one of the investigators working with the Warrens that night: Paul Bartz. The theory states that Paul Bartz bears a resemblance to the ghost boy and is wearing a similar shirt. Meanwhile, the ghostly glow that radiates from the eyes would be due to the infrared film. As a theory goes it is not bad, the ghost boy and Bartz do seem to have a similar pattern on the shirts they are wearing. However the patterns are not a complete match, so there is still much room for speculation. Personally I think this explanation would be too neat and cliche, it seems like something straight out of every classical ghost story ever told, where the murdered stalk the places they once died. Although they do say truth is often stranger then fiction. “I am the same Paul Bartz that took part in the séance in the Amityville home some 32 years ago. If this response is genuine and from the real Paul Bartz then it would appear that Bartz would rather keep mum on the matter, although his choice of words hints at the fact that it is indeed him in the photo. Others believe the figure is a demon, able to change it’s shape at will and in the form of a little boy or the shape of John Matthew DeFeo. This too is a bit far fetched as are some of the people who have thrown this theory into the ring. 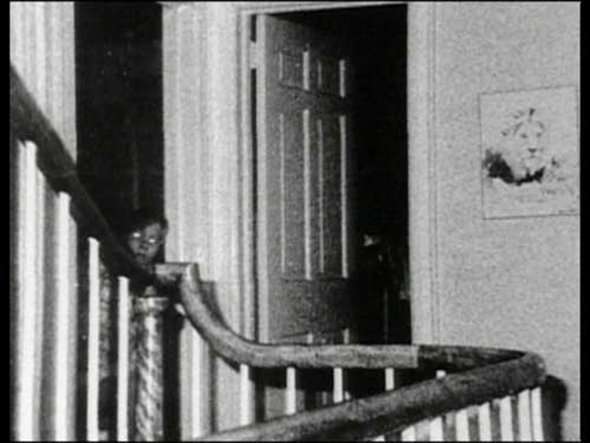 What remains is a photograph that, like the entire story of both the DeFeo murders and the Amityville haunting, is shrouded in both mystery and doubt. It also has become one of the best modern ‘ghost’ pics of the last fifty years. i’ve seen many ghost photos, but i’ll tell you this much…this is the only one that gives me the real shivers and goosebumps, and it makes me feel like the figure is watching me, i personally reckon it is real…and this is indeed a demon.